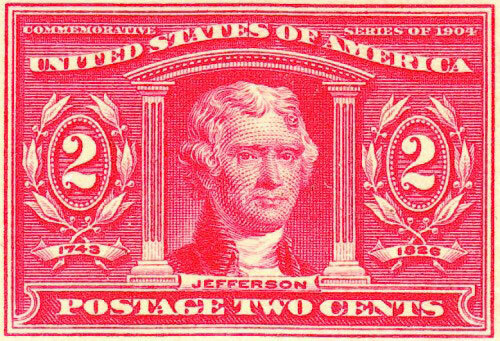 Portrait of Thomas Jefferson on a 2¢ stamp. We all know that Jefferson sent Lewis and Clark on an expedition into the West, and that he was interested in a variety of sciences. We also know that Franklin flew a kite in a thunderstorm, but how about the other founding fathers, such as Washington and Adams? Gentleman Scientists and Revolutionaries attempts to answer that question. First, a word of caution. While the author is not an academic, he apparently does have academic aspirations, so he opens with a bit of Foucauldian impenetrability, and in another place cites Thomas Kuhn's The Structure of Scientific Revolutions . There are a couple of other places where he cites some fashionable academic. For the most part he stays on solid ground. He does have an anti-religious bias, and is at pains to demonstrate that though the founders attended churches of one sort of another, they were really too intelligent to believe all that stuff. One instance where this may show up is in his discussion of William Whewell. Whewell did important and interesting work in science, but he was also a clergyman, and this is not mentioned in the brief discussion of Whewell (xii). He also has a strange definition of the Founding Fathers. He mostly concentrates on the big names, such as Washington, Franklin, Adams, and Jefferson, but also includes some others from the category. 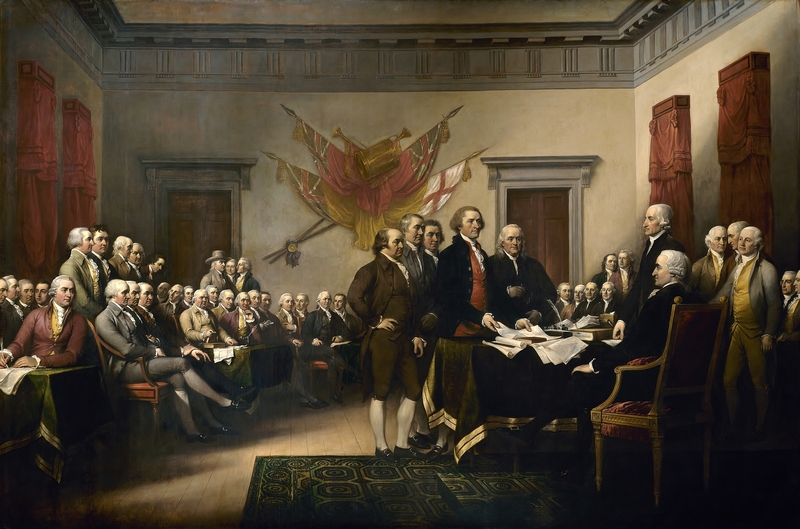 Now I think that most people when they think of the founding fathers think of a scene like that on the left, or of this picture of the Constitutional Convention. Strangely he omits John Jay, who as one of the authors of the Federalist Papers deserves some consideration as a founding father. One of the most interesting items in the book is his discussion of smallpox. There was an outbreak of smallpox in Boston in 1724, and Cotton Mather urged the practice of variolation* in order to reduce the spread of the disease. Some 50 years later there was another outbreak of smallpox, and General Washington urged the use of variolation to prevent its spread among the troops. Readers with a taste for the macabre may remember the current wars fought between Edison and Westinghouse. Edison to prove that alternating current was not safe went around the country electrocuting a variety of animals, including an elephant. An unfortunate side effect of that war, which Edison lost, was that he inspired the introduction of the electric chair. However, Edison was not the first to kill animals electrically. That honor appears to go to Benjamin Franklin who in the course of his work on electricity managed to electrocute a turkey. * Who am I to resist a joke? It seems that his forty-third successor, i.e., number 44, has gotten the first part right, but it remains for someone else to turn that pile into gold. The author has what appears to be an anti-religious attitude, and is at pains to point out that many of the founders were not conventionally religious. However, it is also true that most of them had some sort of official religion, Jefferson being the main exception. Also by selecting a particular subset from the larger set he distorts the religiosity of the founding fathers, i.e., the ones who made up the Continental Congresses and the Constitutional Convention. He does, however, show the relationship of his group of founders to the science of the day, and its development. Much of the material may be unfamiliar, and it does serve to correct ideas such as Ben Franklin and the kite. Next up, the second volume in a biography of Robert A. Heinlein.